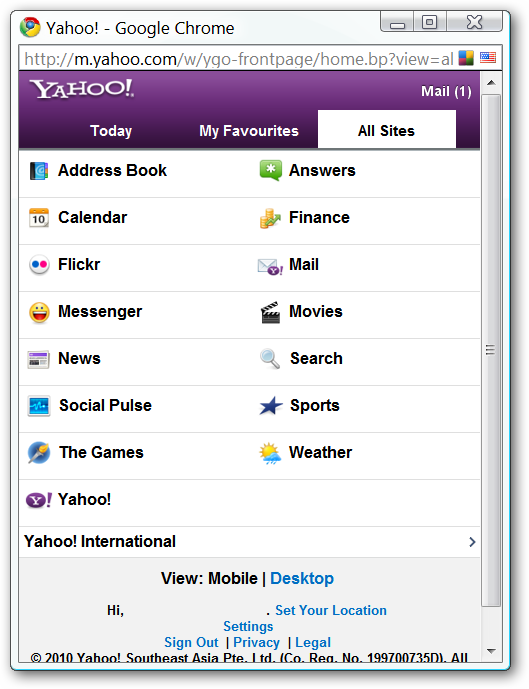 Do you have a favorite Yahoo! 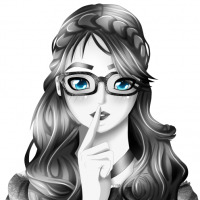 E-mail account or services that you like to keep up with throughout the day? 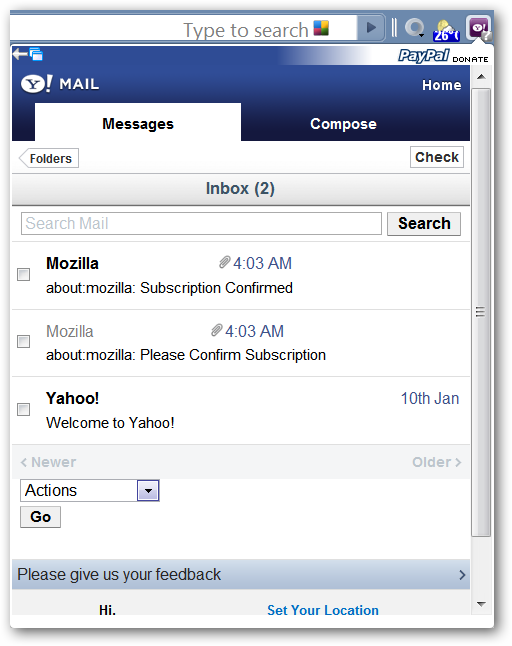 Then join us as we take a look at the Yahoo Mail for Google Chrome extension. 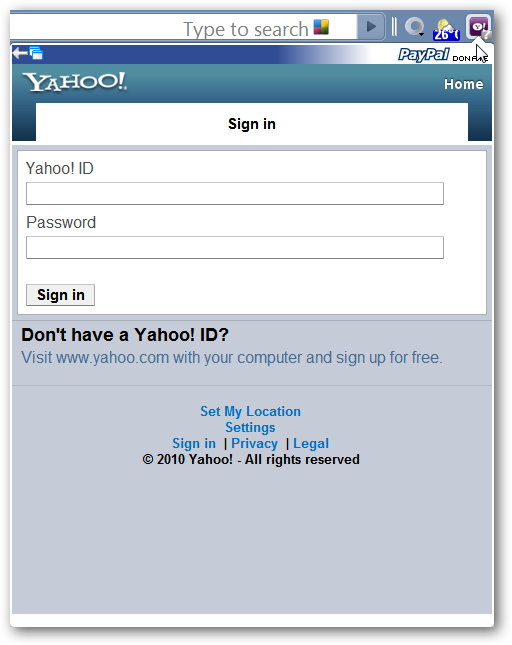 If you are not already signed into Yahoo! in your browser then you will need to login when accessing the drop-down window. As soon as you are signed in the first thing that you will see will be your “Inbox”. Note: The only problem we noticed during our tests was the slowness of the “Toolbar Button” to display the “Unread E-mails Count”. Before going further one of the nice things about the extension is the ability to have the drop-down window pop out into a new but small separate window (use the “link” in the upper left corner). For our example we chose to use the pop out window. The pop out window is much easier to work with in comparison to the drop-down window. When viewing your e-mail it will be displayed in a mobile format with a clickable link to view the letter in full HTML if desired. You can use the “Up & Down Arrow Buttons” to easily navigate through the letters in your “Inbox”. 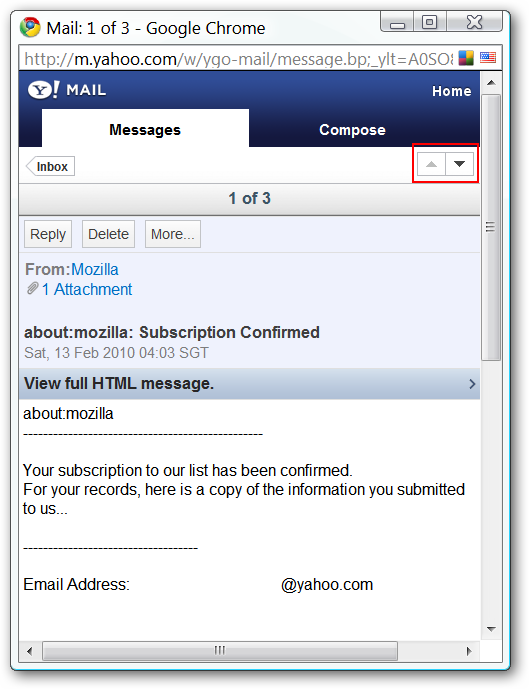 You can use the “Actions Menu” to sort your e-mail in an appropriate manner such as marking as read, marking as spam, adding a flag, etc. 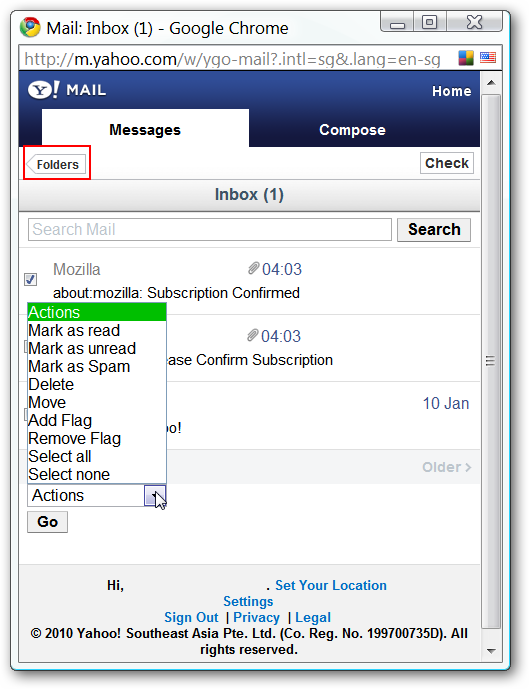 If needed you can access letters in your “Folders” using the “Folders Button”. 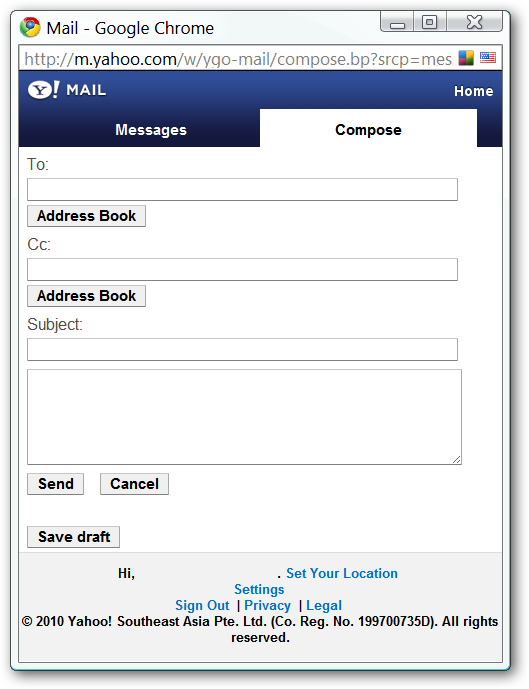 Composing and sending e-mails is also very easy to do. 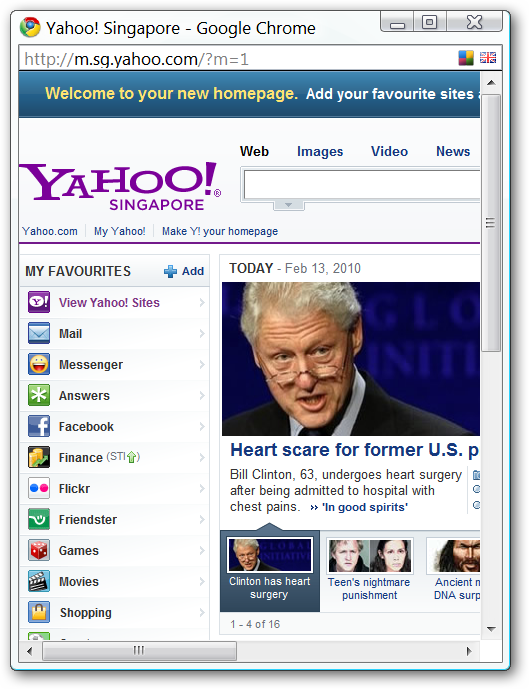 Time for a look at the Yahoo! Services available…simply click on the “Home Link” in the upper right corner to get started. 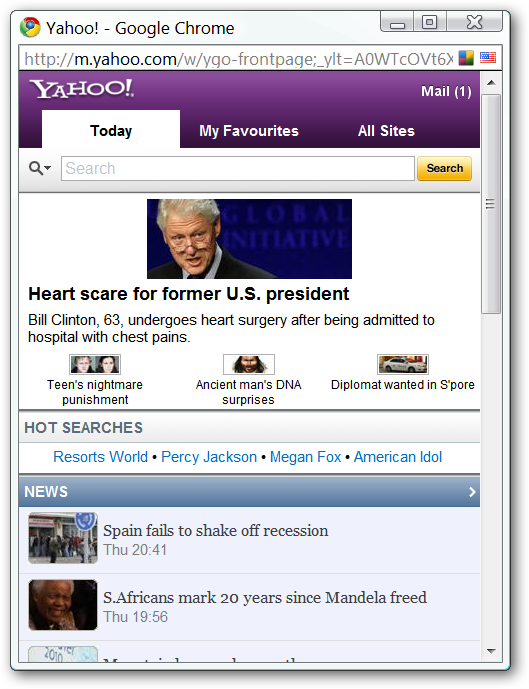 Clicking on “Home” will take you to the “Today Tab” where you can conduct a Yahoo! Search or view the latest news headlines. A “Desktop Format” is available but definitely not recommended. 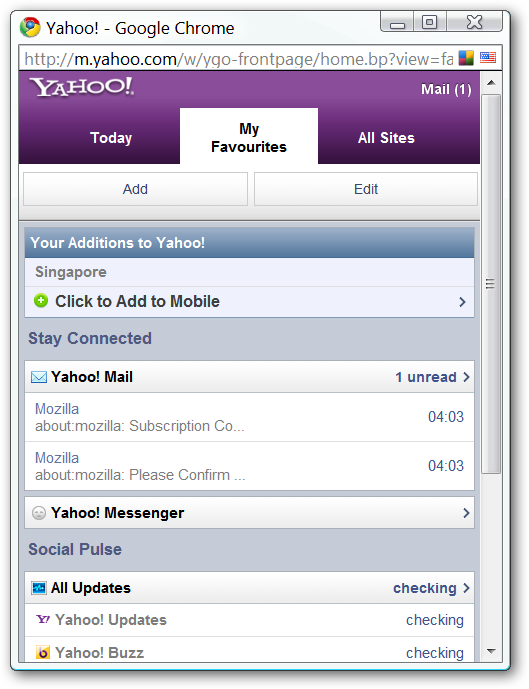 The “My Favourites Tab” lets you add your location, have quick access to your “Inbox” or messenger, links for connecting to Yahoo! Updates or Buzz, and add additional items to your Favourites. 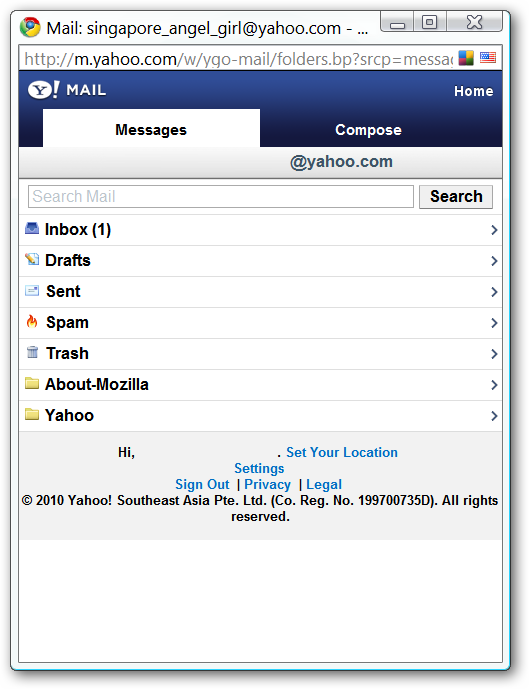 Want to access other Yahoo! Sites & Services? Just click on the “All Sites Tab” and choose your favorite. The only settings available concern mobile video playback. If you like keeping up with your Yahoo! 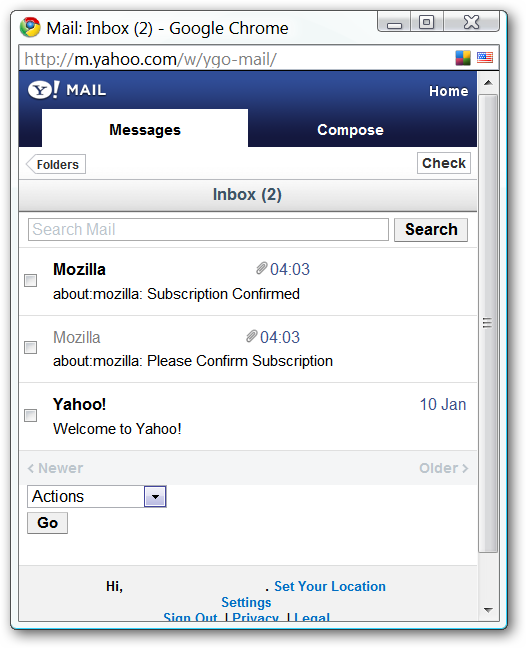 E-mail and favorite services throughout the day then the Yahoo Mail for Google Chrome extension will make a very nice addition to your browser.